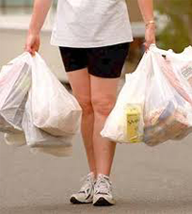 ANS Plastics carry custom plastic bags for various businesses. For over fifty years, A.N.S. Plastics Corporation is a trusted manufacturer of plastic shopping bags of different types. Our goal is to provide high-quality shopping bags or plastic bags that will serve whichever purpose you need the bag for. We strive to keep our customers satisfied with our products therefore we are offering wholesale plastic shopping bags at reasonable prices and quick turnaround time. Do you need custom plastic bags in low quantity? Worry not! We accept orders of all quantities, no matter how big or small. If you’re looking for custom plastic T-shirt bags, grocery bags, poly sacks, shopping bags or any type of plastic bag that’s needed to have your business logo on it, you can count on us. 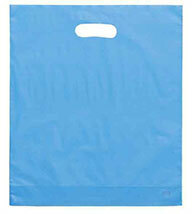 See our list of custom printed plastic shopping bag products. Every minute, millions of people use plastic bags and most of the used bags only end up in the landfills. Here at A.N. S. Plastics Corp., we value our mother earth and we believe that one of the best ways to preserve it is by minimizing waste. Our contribution to this noble cause is by producing shopping bags that are biodegradable. Plastic shopping bags have environmental tolls, leaving harmful imprints on the environment and its biodiversity. To lessen the impact of shopping or grocery bags to the environment, it is highly recommended that biodegradable type of plastic bag is used. Who Needs Custom Plastic Shopping Bags? Every establishment that revolves around retail, food, market, produce, merchandise and many other types of businesses need plastic bags whether custom-made or not. Having your own logo in the shopping bag that your customers will carry around gives room for advertising too – and this is where we come to help. We manufacture our products based on our customers’ specifications and requirements. Backed by 50 years of experience in the packaging industry, A.N.S. Plastics is a highly reliable company that you can put your trust into. If you have any questions regarding our product offerings, check out the FAQ’s page. Note that we price-match. You can talk to us and we will be happy to beat the pricing of any of other quotes you received from other manufacturers located in the USA. For more information about A.N.S. Plastics Corporation, read more about our Company as an extensively-experienced plastic shopping bag manufacturer. Find out why we stand out from the rest of the plastic manufacturers and how we do our best to serve you as our customer. We are also available to speak with you over the phone or through email. Call us up at 732-247-2776 or email us at info@ansplastics.com should you have any questions or inquiries. For more information about plastic shopping bags, customized wholesale hand-carry bags or anything about packaging, you may feel free to browse through some of our articles that are worth reading on your spare time. We love to hear from you and our team will be happy to serve you with any of your custom plastic shopping bag needs! A. N. S. Plastics is a manufacturer specializing in t-shirt shopping bags, plastic grocery bags with over 50 years of experience in the packaging industry. Generally used by grocery stores as well as many other types of stores, the T-Shirt bags is a strong gusseted bag with large handles for easy carrying.